1. For high precision voltage regulator controllers, contribute to achieve balanced and stable. 2. Configure titanium pressure head, to ensure a smooth temperature, according to pressing different products can be configured to replace the head. 3. temperature Control System, different heating rate, pressing time can be set. 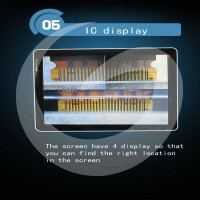 4. the present paragraph press row machine uses a unique position on the way up and down, touch the discharge for Apple has a good position on the effect of pressure on the market through all models. 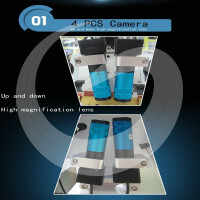 This pressure pulse discharge machine can nip all phones on the market touch-screen LCD and cable. 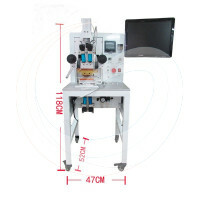 This pressure pulse discharge machine, and down on the pulse pressure discharge machine, with up and down a total of four high-definition camera. Unlike those who can only push for iphone LCD cable not press the touch screen cable on the market. 1.The manufacturer should ensure the product quality according to the industrial regulations and ensure the machine can function normally. 2.The manufacturer offers the operation and technology training for free. And all problem occurring in the process of installation and using will be carefully solved. The subsequent free technology inquiry and support are included. 4.Customers should use and maintain the machine according to the manufacturer training to improve the lifecycle. Customers should undertake the responsibility if the damage is caused by improper operation, but we can offer the maintenance service with charge of relative electron component. 3-5 workdays shipping from China by Air/Express(DHL,FedEx,UPS,EMS etc. We can arrange shipment by sea. 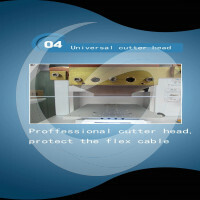 1.We Will provide you User manual in English or operating videos for free . 2.24 hours technical support by email or vedio call via wechat or skype. 3. Free training to make sure you master the operating of our products. 4. OEM/ODM accept . But the MOQ of OEM/ODM is 10 sets.